Shump will prove to be worth every penny of the $40 million contract he signed with the Cavs this summer if he provides at least 12-15 points on the nightly basis. Shump has made a name for himself on the defensive side of the ball, but this season, he should look to make significant strides on offense now that he’s in a winning environment. 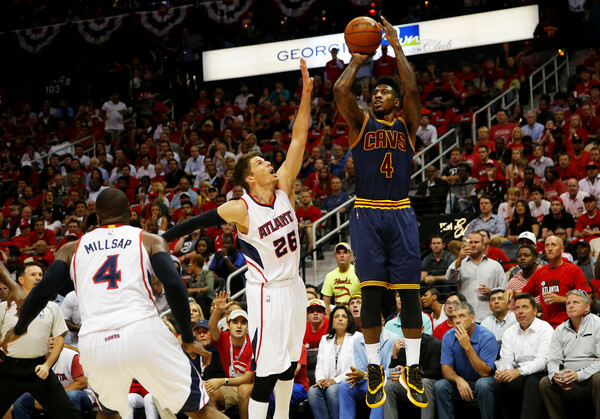 Similar to Kyrie, Shump is entering his fifth season and the time has come to simply get buckets. Whether or not the Cavs elect to bring back J.R. Smith will have a big impact on Shump and what the team needs from him. It was evident during last season postseason, that the Cavs needed scoring and Shumpert’s offense was much too inconsistent. If Iman adds a consistent jump shot to his game to go with the ability to create off the dribble, he will have a breakout year. Click ‘Next’ to see the four player who can improve his game next season!